A cohort of minority-serving institutions (MSIs) is looking to transform the preparation and recruitment of teachers of color through a new initiative from the Branch Alliance for Educator Diversity (BranchED). Over a three-year period, the Transformation Center Coaching Cohort will establish communities of practice involving university faculty, PreK-12 partners and community members who share a collective goal to redesign teacher preparation programs at MSIs that significantly increase the number of diverse, high-quality educators entering the profession. California State University – Fresno, North Carolina A&T State University, South Carolina State University and the University of Texas – Rio Grande Valley make up the initiative’s inaugural cohort. 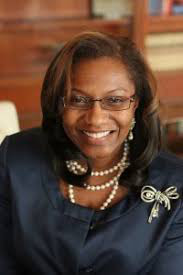 “These universities stand out as innovators who are committed to changing the way providers have traditionally approached teacher prep by implementing research-based practices and developing modern approaches to improve teacher quality and diversity,” said Dr. Cassandra Herring, president and CEO of BranchED. Using BranchED’s differentiated support model, each institution’s faculty and PreK-12 partners will receive intensive and personalized coaching that examines their teacher preparation program’s strengths and identifies areas to improve. The non-profit organization — dedicated to strengthening, growing and amplifying the impact of educator preparation at MSIs — will work with the four institutions to develop and implement a detailed plan for systemic and sustainable enhancement of their educator preparation programs. Current demographic data shows that White educators make up nearly 80 percent of the teacher workforce, meaning that students of color in the K-12 system are not receiving the benefits gained by having an educator who looks like them, experts said. With the Transformation Center, BranchED and the MSI cohort are working to dispel the notion that the characteristics “quality” and “diverse” among teacher candidates occur in a silo. “It’s part and parcel of one another,” said Herring, adding that “diversity matters” for every student, including White students. “You don’t have to compromise one or the other,” said Dr. Nakeshia N. Williams, a Transformation Center co-lead and assistant professor at North Carolina A&T. At North Carolina A&T, leaders will start the three-year initiative with a “deep dive” into the current curriculum to see what changes can be made to ensure there is alignment between what is taught in the teacher preparation program and K-12 learning in terms of content and standards, Williams said. The School of Education will prepare faculty and K-12 educators to be culturally and linguistically responsive to the academic, social and emotional needs of their students as the demographics of students continue to evolve. In doing so, the institution will foster a “continuum of learning” through trainings and professional development opportunities to sustain the work of preparing qualified, diverse teachers who leverage diverse students’ assets to support their learning outcomes, Williams added. More broadly, participating in the Transformation Center initiative will enable the MSIs to examine if current faculty are modeling the equitable, practice-based approaches to support students; assist them in looking into the data to drive programmatic decisions; and help them rethink their clinical experiences for teacher candidates, Herring said. In addition, institutions will hold annual site visits with a BranchED facilitator, participate in cohort workshops and have access to the organization’s online platform to share ideas and connect with fellow cohort members. “The goal is long-term, sustainable change within these programs,” Herring said. “Participating in the Transformation Center Coaching Cohort represents a unique and invaluable opportunity to receive guidance and support from experts, as well as fellow teacher prep programs, to fundamentally change the way we support and prepare California educators,” said Dr. Lisa Bennet, another co-lead, Multiple Subject Credential program coordinator and associate professor of literacy education at CSU-Fresno, in a statement. Herring added that institutions are encouraged to share their challenges in the process as well because it is “important to recognize that change is challenging,” she said. BranchED aims for the Transformation Center initiative to inspire further innovation and replication of quality teacher preparation programs across minority-serving institutions.